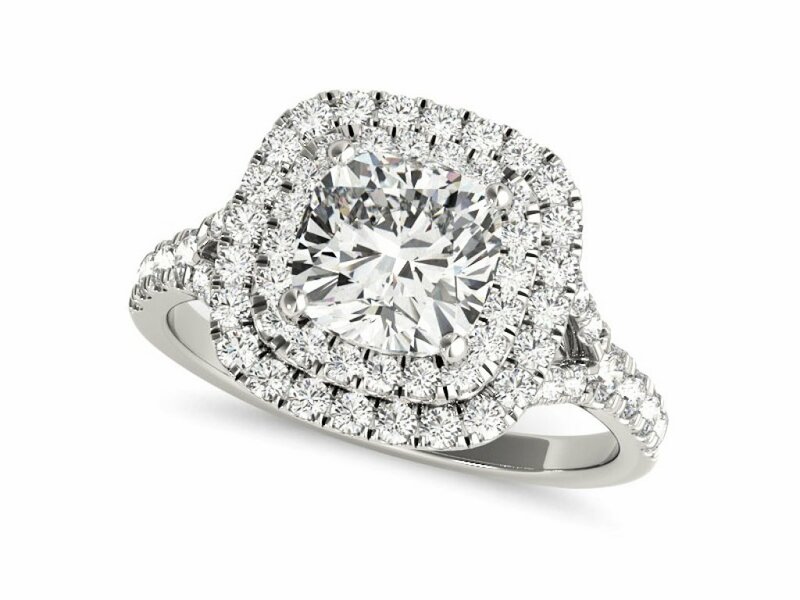 A style for the person who loves the look of a big ring. 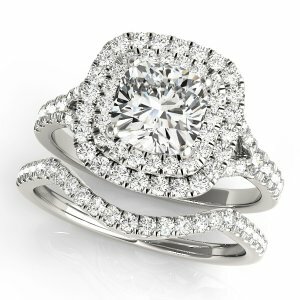 A double halo engagement ring with a step design hold up your center stone as the centerpiece of the ring. 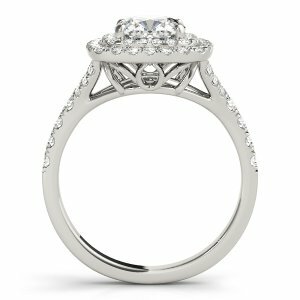 0.45ctw round diamonds adorn the halo and band with U Pave settings which are designed to show more of the diamond by allowing light to enter the sides. 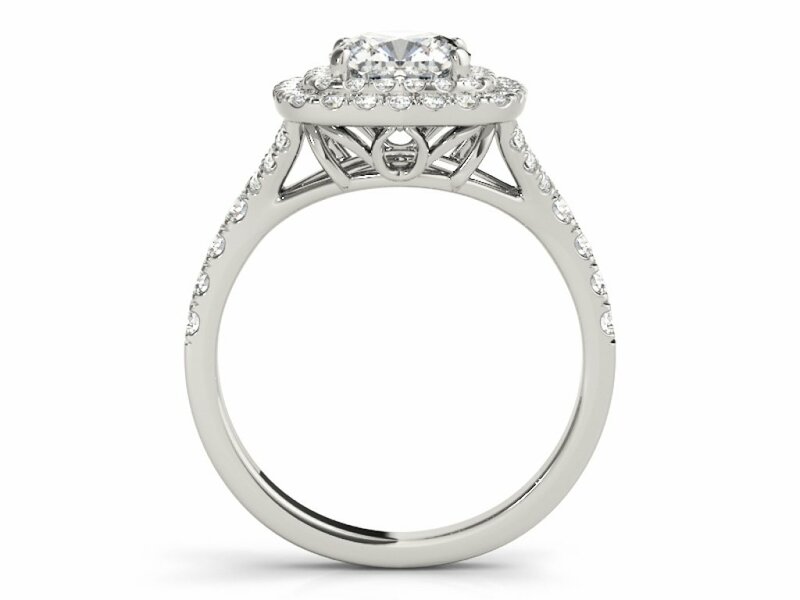 The split shank design and floral gallery hold up the halo. Buy this ring today or browse our large selection of halo engagement rings. We’re here to help. 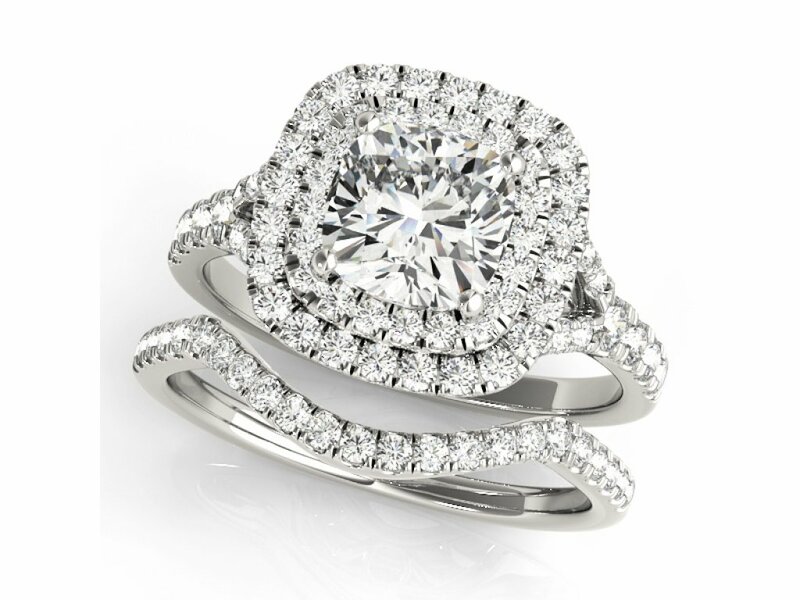 Our specialist are available to assist you in finding your perfect ring. Wonder Jewelers is delighted to offer a complementary appraisal with your purchase of any loose diamond or diamond jewelry piece exceeding $1,500 in value. 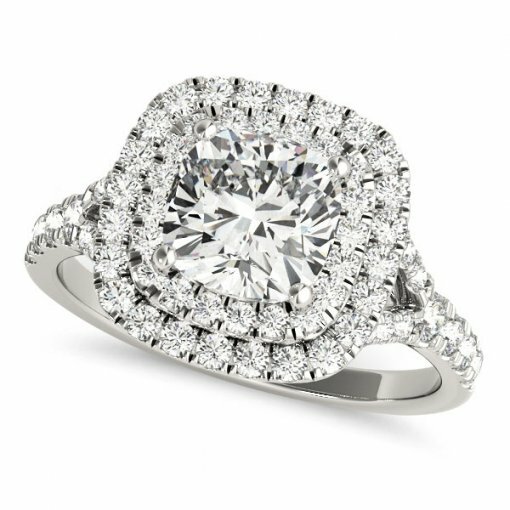 Upon completing your order you'll receive an appraisal report conducted by our team of in-house Certified Gemologist Appraisers. 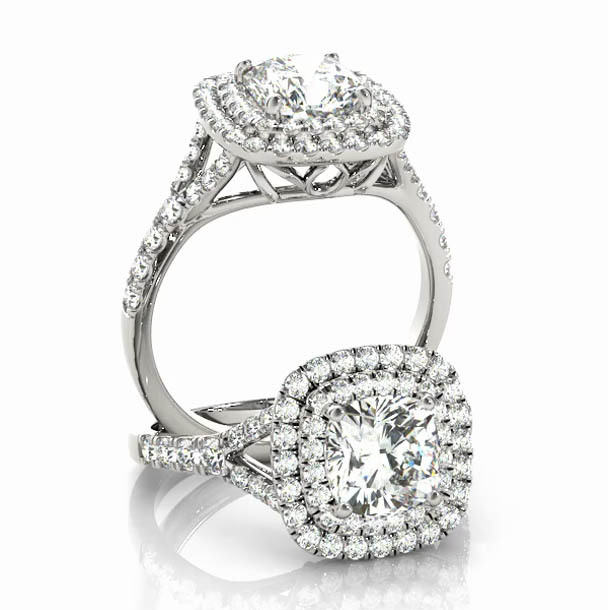 PRIORITY OVERNIGHT VIA FEDEX OR UPS. 100% insured! 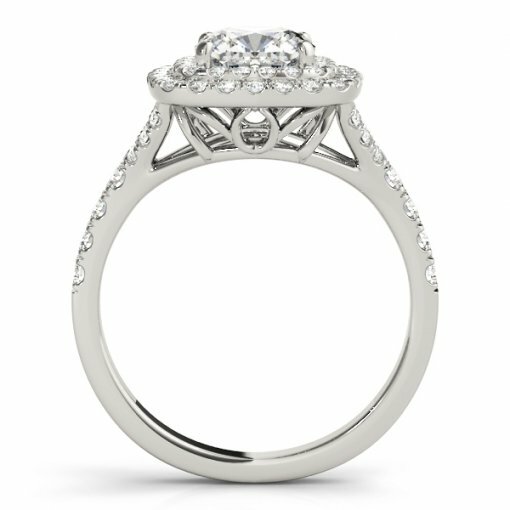 for any reason you are not satisfied, you can return any item without custom engraving in its original condition within 30 days of the date of shipment for 100% Full refund or an exchange. You need to be logged in to write review. and well designed for special occassions.